Pakistan to release IAF pilot Abhinandan: What are Geneva Conventions? Geneva Convention: Although Wing Commander Abhinandan Varthaman, who is in Pakistan's custody, has not been called a PoW by the Ministry of External Affairs and Pakistan, the conventions definitely apply to him. The Geneva Conventions and their Additional Protocols are international treaties that are at the core of international humanitarian law. They contain the most important rules regulating the conduct of armed conflicts and seeks to specifically protect civilians, health and aid workers, as well as soldiers no longer participating in the hostilities, such as prisoners of war (PoW) and wounded personnel. Pakistan PM Imran Khan announced at their Parliament that the Indian Air Force pilot, Wing Commander Abhinandan Varthaman, will be released tomorrow. While Pakistan called it a peace gesture, it is likely that the Geneva Conventions are likely to have been applied. However, the Wing Commander who is currently in Pakistan's custody after his MiG-21 Bison was brought down in Pakistan-occupied Kashmir yesterday, has not been called a PoW by the Ministry of External Affairs and Pakistan. Because as per the Third Geneva Convention, "In addition to the provisions which shall be implemented in peace time, the present Convention shall apply to all cases of declared war or of any other armed conflict which may arise between two or more of the High Contracting Parties, even if the state of war is not recognized by one of them". Although they were adopted in 1949, to take account of the experiences of the Second World War, the four Geneva Conventions - with three protocols added on since 1977 - continue to apply to armed conflicts today. In total, 196 countries have signed and ratified them over the years. Convention I requires that all wounded and infirm soldiers as well as medical personnel and chaplains in the field are treated humanely without discrimination on the basis of race, colour, gender, religion or faith, and the like. It prohibits acts such as torture, mutilation, outrages upon personal dignity, and execution without judgment. It also grants them the right to proper medical treatment and care. The Second Convention extends the protections described above to shipwrecked soldiers and other naval forces, including special protections afforded to hospital ships. Geneva Convention III, as already mentioned, is relative to the treatment of Prisoners of War (PoWs) while the last Convention focuses on the protection of civilians in times of war. These treaties have come into play for all recent international armed conflicts, including the war in Afghanistan, the 2003 invasion of Iraq, the 2008 War in Georgia and the Russian invasion of Chechnya (1994-present). What are the rights of a PoW? According to Article 13 in the Third Geneva Convention, PoWs must be "humanely treated" at all times. "Any unlawful act or omission by the Detaining Power causing death or seriously endangering the health of a prisoner of war in its custody is prohibited, and will be regarded as a serious breach of the present Convention," it states, adding that PoW have to be protected against insults and public curiosity as well as acts of violence or intimidation. In this context, Pakistan may have violated the treaties when the military spokesperson tweeted an image of the captured IAF pilot. The Geneva Conventions also strictly bar airing pictures of captured prisoners on television. In one of the videos of Varthaman being interrogated post his capture, he alludes to the Geneva Convention when he only discloses his service number and identifies himself as a Hindu. "I'm sorry sir...that's all I'm supposed to tell you," he calmly tells his interrogators when pressed for more details. "Every prisoner of war, when questioned on the subject, is bound to give only his surname, first names and rank, date of birth, and army, regimental, personal or serial number, or failing this, equivalent information," states Article 17 of Convention III. "No physical or mental torture, nor any other form of coercion, may be inflicted on prisoners of war to secure from them information of any kind whatever." Apart from mandating adequate medical attention for PoWs and allowing them correspondence with their families, the Conventions also list out conditions for their internment - like hygienic surroundings where they are not exposed to the fire of the combat zone. "Prisoners' representatives shall be permitted to visit premises where prisoners of war are detained, and every prisoner of war shall have the right to consult freely his prisoners' representative," adds Article 81. How did the Geneva Conventions help in ensuring that the pilot returns home? As per Article 118 of Convention III, PoWs "shall be released and repatriated without delay after the cessation of active hostilities". Furthermore, even if the countries at conflict are not able to reach an agreement toward cessation of hostilities, "each of the Detaining Powers shall itself establish and execute without delay a plan of repatriation in conformity with the principle laid down (above)". In June 1999, Flight Lieutenant Kambampati Nachiketa, the only PoW during the Kargil War was repatriated home after the Indian authorities rejected Pakistan's idea if a public handover at their foreign office by citing the Geneva Conventions. 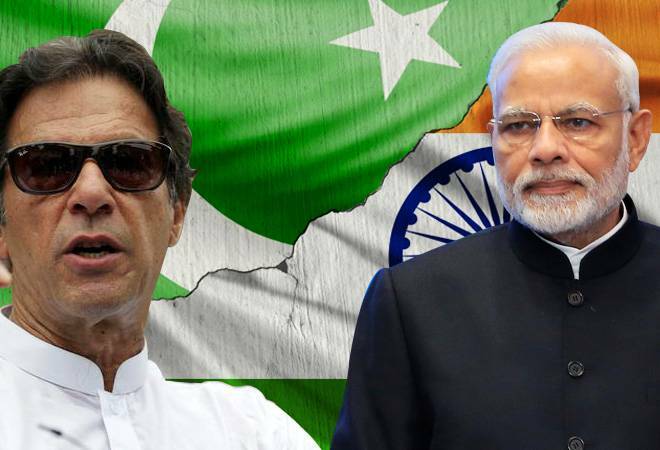 Before the Opposition took the floor at the Pakistani Parliament, Prime Minister Imran Khan said that he wants to announce that the Indian pilot Wing Commander Abhinandan Varthaman will be released tomorrow as a gesture of peace. "In our desire for peace, I announce that tomorrow, and as a first step to open negotiations, Pakistan will be releasing the Indian Air Force officer in our custody," PM Khan said. Earlier in the session he said, "I have a feeling that the Indian public does not agree with the current government's warmongering. If their media had seen what our media has seen over the past 17 years, they would not have created this war hysteria." He also said, "Countries are ruined because of miscalculation. War is not a solution. If India takes any action, we will have to retaliate."